An Earls Court journey to remember – in a ‘Wendy house’ Panther outfit! How right the editor is when he says that the letters and contributions from Old Bike Mart readers give so much pleasure – along with the rest of OBM, of course, and their recollections evoke so many of our own memories. 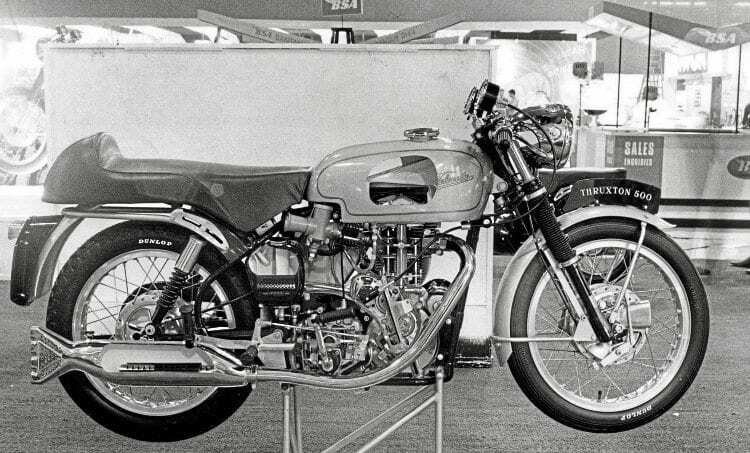 Ady would have seen this sectioned Velocette Thruxton during that 1967 Earls Court visit. The world of 50 years ago or so was certainly a very different place, not just technologically but socially as well. Although teenage motorcyclists in the 1960s were generally ostracised, I recall the old dealers being more helpful, the law as upheld by the police more compromising (no traffic cameras) and individuals not burdened by a society inclined towards litigation and pointless bureaucracy much happier to offer their assistance. I remember a nightmare trip that as much as anything illustrates that period, when things were, if not completely free, at least a good deal easier, and when a bit of imagination and determination could take you a fair way. I go back to August 1967 when I, as a 17-year-old apprentice fitter/machinist, and a couple of friends who were still at school doing their ‘A’ levels, decided on a trip to the forthcoming motorcycle show at Earls Court. As we were impoverished, our means of transportation to that event was unclear. I was certain my Tiger Cub wouldn’t make it from Norwich to London, and Mike’s C12 likewise, so a plan was hatched to use Bobby’s ancient, rigid and very scruffy 600 Panther. This would simply require the attachment of a sidecar to accommodate the three of us, thereby enabling the costs of the expedition to be shared equally. The fundamental success of this scheme depended on two things – firstly that the character who’d sold Bobby this dubious example of Phelon and Moore’s finest still owned the sidecar chassis that had been declined at the time of the sale, and secondly that Bobby’s young cousins would relinquish their rather unusual ‘Wendy house’, a somewhat battered old double-adult sidecar body that was parked in their garden. Next Post:An accident waiting to happen!